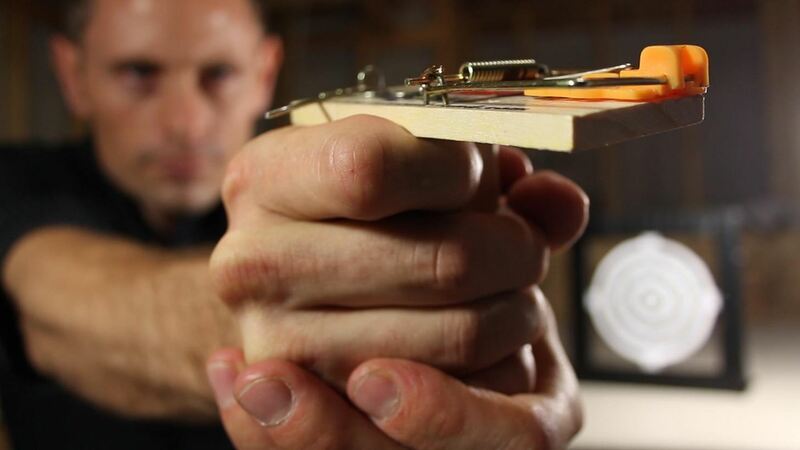 Here's a way you can turn a mousetrap into a fun little handgun that shoots up to 40 feet! 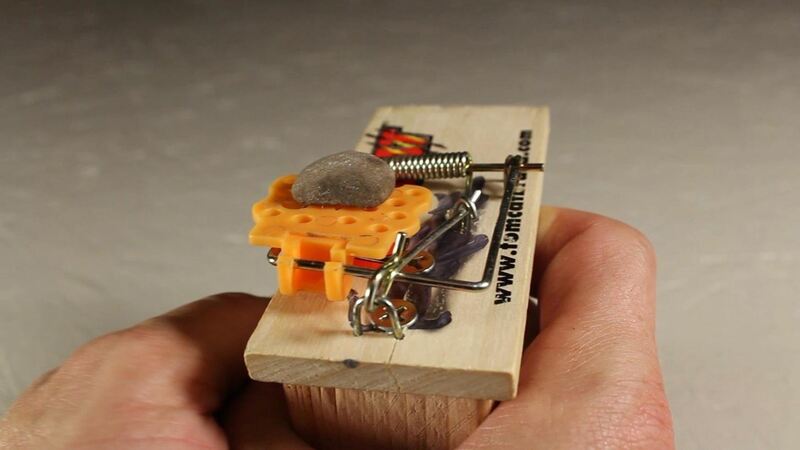 This is a great project because it can be made with simple materials, very basic tools, and in just a few minutes! 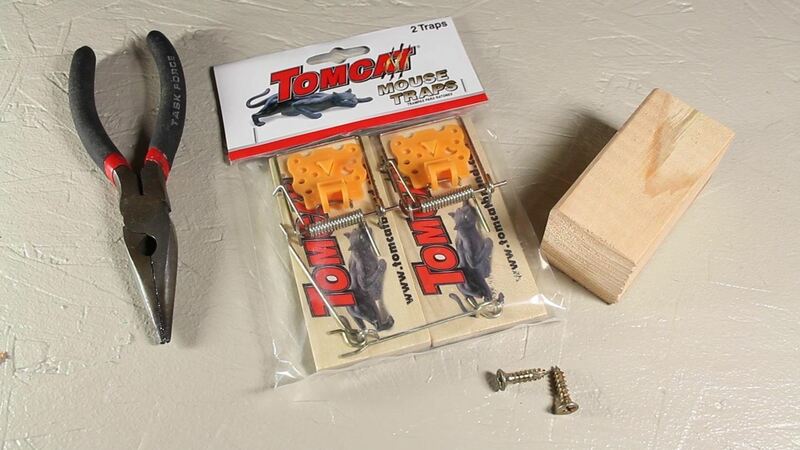 This pack of two mousetraps was only $0.98! Aside from those, all you need are two small screws, and a small piece of wood. The firing mechanism is made by modifying the locking pins into a squeeze-pull trigger. 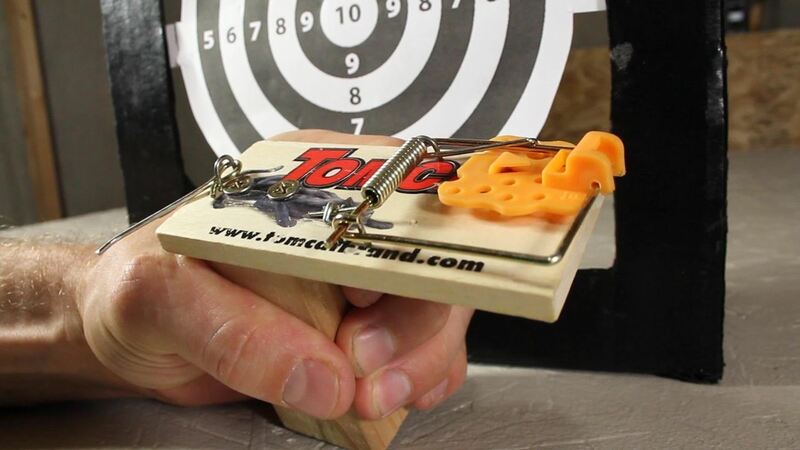 The bait pad can be converted into a launching platform that will shoot any type of small ammunition! 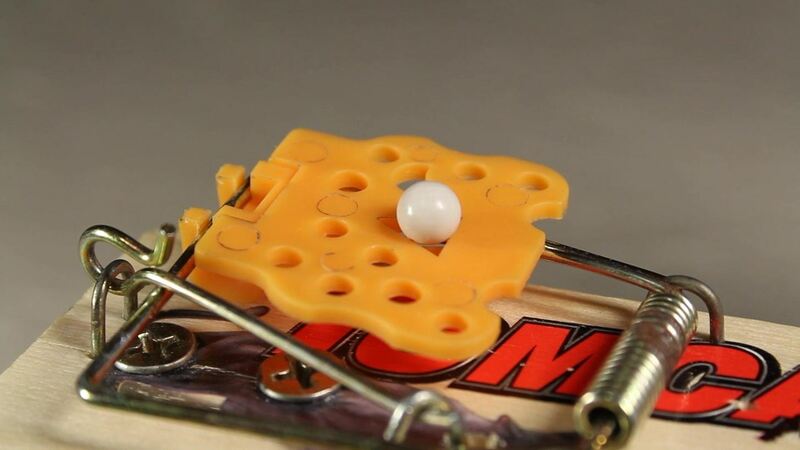 An airsoft BB can be shot over 40 feet, and the divots in the bait pad are perfectly positioned to hold them! 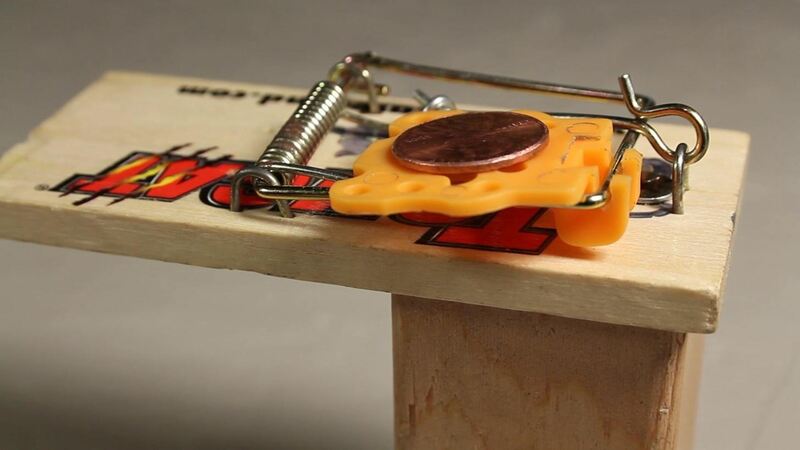 In addition, pennies, small rocks, and various other projectiles can be launched with power! Moving the ammo forward on the pad makes the gun shoot low and fast. 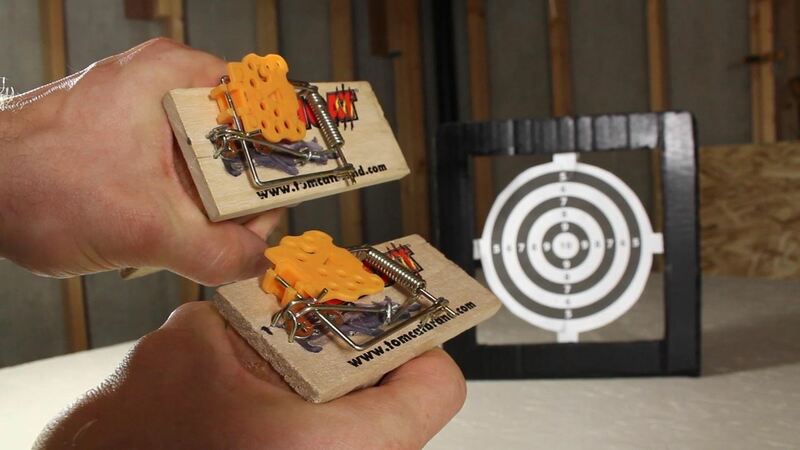 Moving the ammo rearward causes the object to be launched high and far. 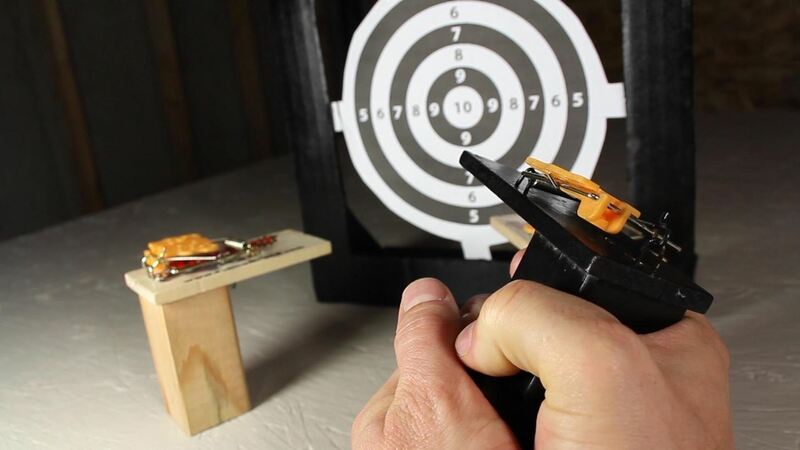 I tried making another gun, as well as a paper target, for some double-action target practice! Then I made a third, and painted it black to see how it would contrast with the yellow launch pad. Have you made yours yet? What are you waiting for?